Self-improvement is a self-guided improvement economically, intellectually or emotionally often with a substantial psychological basis. There are many different self-help movements and each has its own focus, techniques, associated beliefs, proponents and in some cases, leaders. 1.Sleepless: sleep will relax only if it is limited; more than 6-8 hours of sleep can lead to laziness. 2.Set aside 15 minutes for yourself daily. Most of us in our busy schedule forget many things; these 15 minutes can make us rejuvenate ourselves. 3.Meditate for sometime: meditation can make us feel calm and cool. A way to get back to think what we want and how we reach towards it. 4.Laugh: laughing makes us healthier and look beautiful. Laughing will also make us stress out our angry and will decrease our negative traits. 5.Set aside Sunday for your family. This will make the people who stay with you happy and express your care to them. 6.Never discuss you personal things in front of anyone, it may be money or relationships. It may create a gossip about you, without your knowledge. 7.Be the number one supporter to your spouse or your family. This will make them feel protected. 8.Empty your brain cups, then only you can fill in what others say. Listening will make you more perfect, there might be things you could learn. 9.Never argue. This can only result in conflicts. 10.Accept others as they are, this will make your life easier. 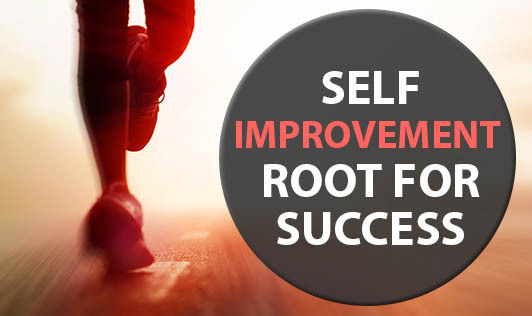 Self improvement is the best improvement!